Ocean Squad is the National Marine Aquarium’s club for all teenagers with a passion for the marine world! Come and join our public engagement team as we pack each day with exciting adventures linked to our oceans. 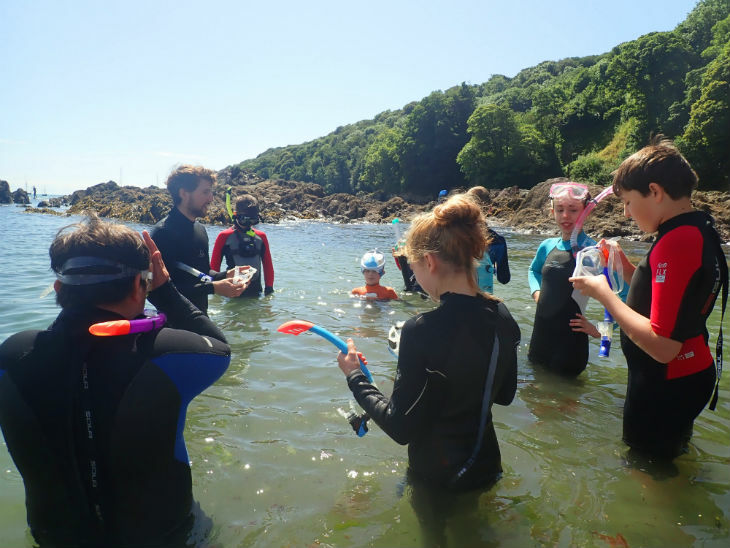 You will be taking part in our snorkelling safari, exploring restricted areas of the Aquarium, cooking up sustainable seafood meals, sailing around Plymouth Sound , taking part in science experiments and more! For all teenagers aged 11-15 with an interest in the Ocean! A year’s pass to the National Marine Aquarium to visit as much as you like for 12 months. This really is the ultimate package for any teenage marine enthusiast! If for any reason you are unable to join us once you’ve bought your ticket, simply send us an email to let us know. 100% Refund for over 1 month notice. 50% Refund 2 weeks- 1 month notice. No refund for less than 2 weeks notice.